Gambling is risky for anyone. For young people, it’s downright dangerous. And that’s without even considering the risk of full-on addiction. A young man’s risk-averse brain compounds the problem. In this post, we explore what every parent needs to know about the dangers and risks of teen gambling. Online gambling was among the first generation of Internet-based activities to take the world by storm. The first bets were being placed in 1994, and the steady shoring up of financial transactions bolstered user confidence. In 1996, there were just over a dozen Internet gambling websites. By 1997, there were well over 200. That’s a worrying trend for anyone who’s paying attention. In 1998, online gambling’s global revenue exceeded US$800 – which seemed astonishing in and of itself. But the truth is that global enthusiasm for Internet gambling had barely reached a whisper. It’s worth well into the US$50 billion at this point, and the market is expected to pass US$80 billion by 2022. Online gambling’s journey from a non-entity to a massively multi-billion-dollar industry in less than a quarter century is alarming. That it thrived despite concerted attempts by governments to quell it is downright concerning. The fact that children have such free and easy access to gambling is beyond disconcerting. For some families, it’s a devastating proposition. Up until recently, people were reluctant to place substance-abuse addictions (like alcoholism) in the same category as process addictions (like gambling addiction). The thinking was that even if so-called ‘gambling addiction’ was similar to ‘real’ addiction, it wasn’t halfway as bad as ingesting an addictive substance. But our understanding of addiction has evolved in recent years. Today, we understand that addiction is a brain-based disease. A person suffering from drug addiction isn’t really addicted to the drug. They’re addicted to the way it makes their brain react and behave. Addictive processes like gambling can make the brain behave in precisely the same way, which means they’re every bit as addictive. Today, the psychiatric community recognises the seriousness of gambling addiction. ‘Gambling disorder’ was added to the latest (fifth) edition of the Diagnostic and Statistical Manual of Mental Disorders (DSM-5) – the gold-standard of mental health diagnoses and treatment. 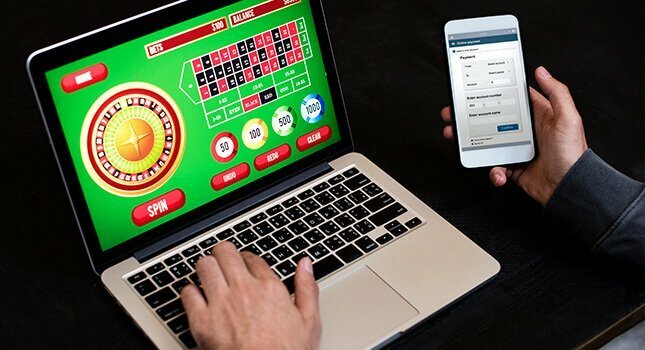 All of this is to say that gambling addiction is a very real concern – especially in a world where online gambling makes the pastime more accessible than ever. It’s a serious public-health threat, and surprisingly easy to get caught up in. If your son is getting caught up in gambling – online or off – you’re right to be concerned. The stakes are higher than he realises, and in more ways than one. Gambling has probably always been part of society. But it’s not as if placing a wager leads to a life of despair. Even in places where gambling is technically illegal, there’s likely to be a government-run lottery. Most young people are well-acquainted with gambling in one form or another. But this is the first generation of young people to grow up in a world where gambling tables are readily accessible – literally at their fingertips rather than at a specific physical location. The ease of access that comes with online gambling is dangerous, as gamblers who start at an early age have greater likelihood of developing a gambling addiction. One reason teens face a greater risk of developing a gambling problem is that they’re less risk-averse than adults. This is compounded by common mental-issues often faced by teens – depression and low self-esteem, for example. For teens, compulsive gambling often begins innocently enough. It may start with scratch-off tickets, raffles at community gatherings or even buying a soda from the 7-Eleven because there’s a possible prize under the bottle cap. None of these activities feels like gambling, but they can set that part of the brain in motion. A gambling addiction piqued during childhood develops during teenage years. Sports betting is often a favourite of young men. They’re also likely intrigued by the seemingly glamorous casino lifestyle they’ve seen in TV and films. And while some will gain access to casinos – either with a fake ID or because of lax enforcement – an alarming number of at-risk teens are going to get their gambling fix online. If you suspect your son has a gambling problem, it’s worth taking a closer look – even if he’s relatively young. A study conducted by the UK’s National Council on Problem Gambling found that young problem gamblers get started at around eight years old. That’s not to say a majority of young people are gambling at this age. But those who have a problem in their teens and twenties are likely to have started around this age. Some of the above are common signs for all compulsive disorders, and it’s important not to jump to conclusions. In any case, if you’re concerned about your son, you can speak to him openly, caringly and without judgement. This generation of young people has unprecedented access to gambling. Unfortunately, they’re equipped to deal with the associated pressures. The good news is that help’s available. The Edge operates gambling addiction treatment that’s tailor-made for teens and young men aged 18 to 26. Our treatment programme combines high-intensity outdoor fitness training and both group and one-on-one counselling to help our clients foster a new sense of purpose and self-discovery. We help them break down their self-destructive behaviour patterns and replace them with more constructive and fulfilling ones. 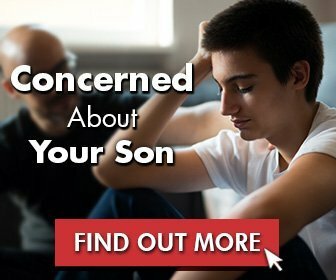 If a gambling addiction is ruining your son’s life, we can help. Get in touch with us via the contact page, and we’ll help you understand what help looks like. Recovery is Stronger When Family is Involved in Addiction Treatment Understanding Trauma in Parents of Young Addicts Addiction Makes it Harder for the Brain to Anticipate Rewards Am I Turning My Son Into a Gaming Addict?